Easter Sunday 2014 will go down in the Womack family’s book of treasured memories. Jimmy and Mary Womack of Mayflower, Ark., were confirmed, and their three children — ages 3, 12 and 14 — were baptized at Shepherd of Peace Lutheran Church in nearby Maumelle. They had finally found a church home. “Easter was awesome.” That’s how Jimmy Womack, 58, an electric grid manager, describes the day punctuated by celebration, out-of-town family and the feeling that, finally, things were going as they should spiritually. But the very next Sunday, April 27, terror and loss threatened to replace that joy. An EF4 tornado packing 180 mph winds shredded the Womacks’ home in 15 seconds. It was as if the house were made of matchsticks, not bricks and mortar and wood. Three of the Womacks were inside at the time. Tornadoes ripped through large portions of central Arkansas that day, killing 16 people, injuring more than 150 and damaging at least 260 homes and businesses. President Obama declared Faulkner County, where the Womacks live, and three other counties as major disaster areas. In addition to the Womacks, the tornado damaged the home of one family of Grace Lutheran Church in Little Rock, Ark. ; two families at Zion Lutheran Church in Avilla, Ark. ; and family members of the secretary at Christ Lutheran Church in Little Rock, Ark. 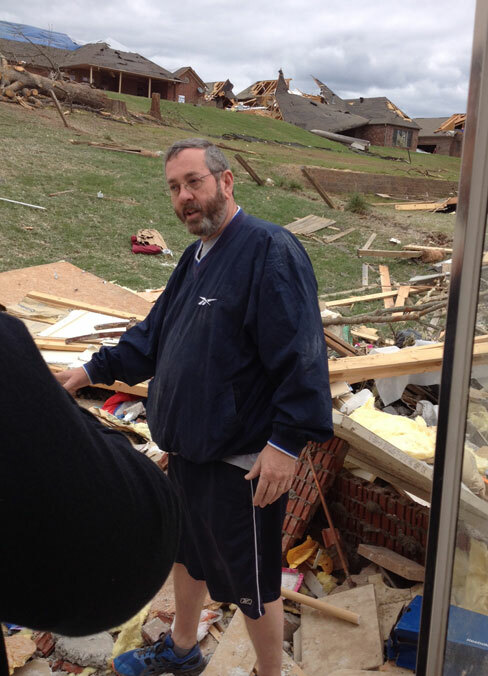 Another LCMS member survived the tornado by hiding in a Vilonia, Ark., grocery store meat locker. He was uninjured but his car was damaged. 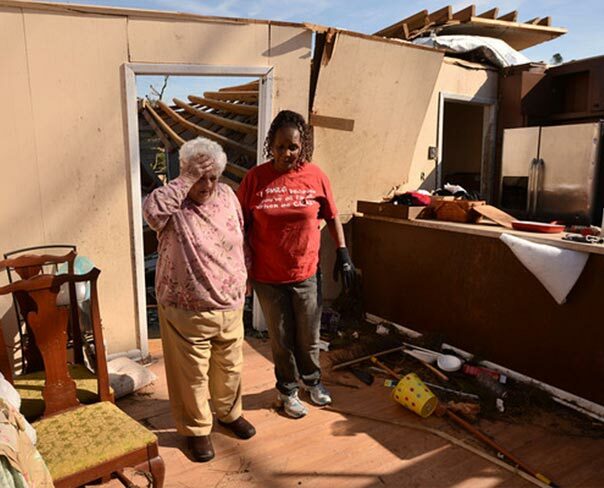 The same storm system that reduced the Womacks’ home to rubble spurred more tornadoes across several states, from Oklahoma to Alabama, ripping a steeple off an LCMS church and crushing the home of church members Terry and Susan Dufford in Tupelo, Miss. 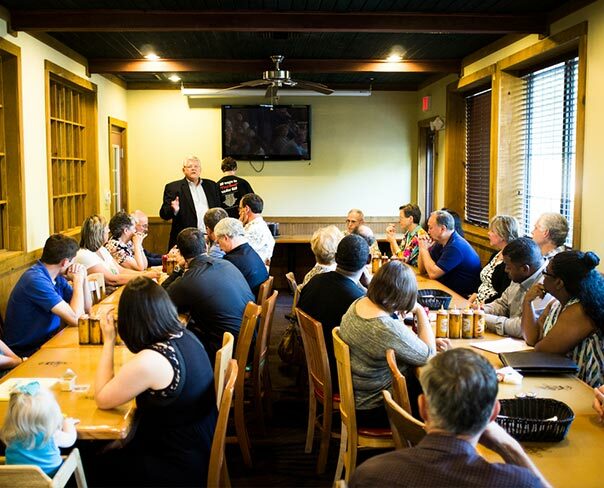 The system dumped record rainfall on parts of the Gulf Coast, flooding four LCMS congregations and the homes of more than 30 LCMS members and the Rev. Randy Blankenshaen, pastor of Immanuel Lutheran Church in Pensacola, Fla. In all, the series of violent storms killed 37 people nationwide. No LCMS church members were seriously injured. But the homes of several members in Arkansas, Mississippi and Florida were damaged. Holy Trinity Lutheran Church in Tupelo was severely damaged, and four church buildings in the Pensacola area were flooded. LCMS Disaster Response awarded an immediate $34,000 grant to the LCMS Southern District, which received the brunt of the storm-system damage. Another $9,400 in emergency and immediate aid — including gift cards — was distributed in Arkansas, Mississippi and Florida. The LCMS is assisting congregations as they help their communities recover from the storms, bringing acts of mercy coupled with the Gospel. 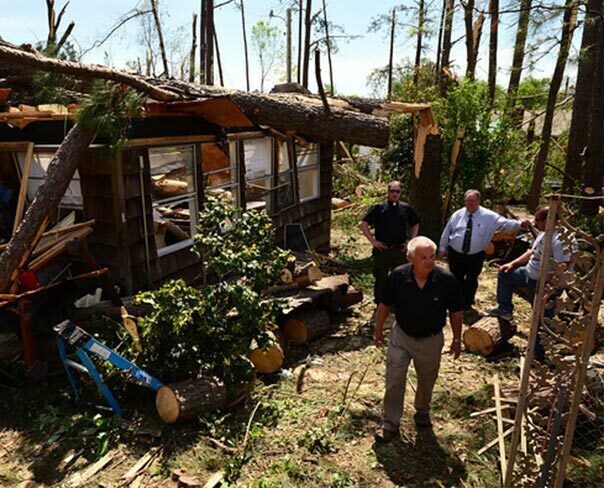 Two days after the tornadoes — on April 29 — Johnson and the Rev. Michael Meyer, manager of LCMS Disaster Response, traveled to Arkansas to assess immediate and long-term needs in the tornado-ravaged communities. In Mayflower, they met Jimmy Womack, who stood atop an unrecognizable pile of wood and bricks — what remains of his home — as he shared his story of survival. The day of the tornado, the Womacks had been doing chores. They were getting ready for dinner. At the back of their minds was the threat of bad weather, a typical springtime worry. Womack listened as a TV meteorologist warned of the possibility of a tornado across the Arkansas River from the family’s one-story, four-bedroom brick home, built in 2006 with large windows and a pitched roofline. Womack, still in his work clothes, went into the front room. The only family members home that day were he, his wife and their youngest, 3-year-old Adrianna, along with their Pomeranian and a cat. The three Womacks ran into the walk-in closet in the master bedroom on the opposite end of the house from the tornado. Womack stood over his kneeling wife and child. When the chaos ended, the Womacks crawled out from a 2-foot opening. The walls to the closet were gone. One part of one exterior wall was the only thing left standing in the home. The only injury? A small cut on Womack’s wrist. The family’s dog made his way home the next day. They found the cat hiding under the bathtub. The family believes that the tiled bathroom wall that fell across Jimmy Womack’s back saved them. After the storm, he tried to lift the wall. It wouldn’t budge. It was too heavy. While the Womacks decide where to live and whether they should rebuild, a fellow member of Shepherd of Peace took her house off the market and invited the family to stay there. The church has helped the family with clothing, food and other supplies. 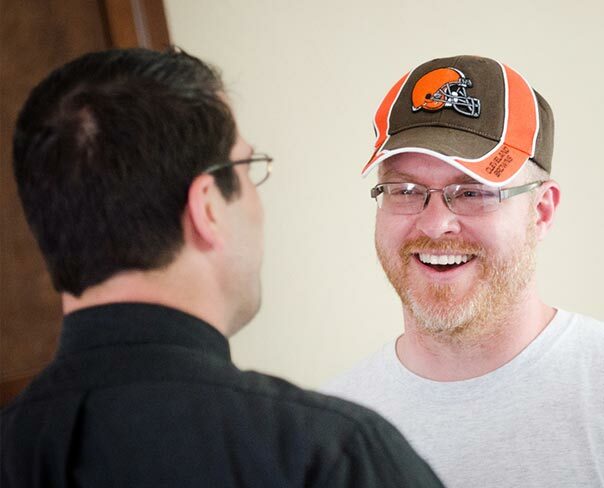 The storm may have destroyed their home, but Womack said he is not letting it rob him of joy. On April 28, the day after the Arkansas storm, a string of tornadoes ripped through northern Mississippi and Alabama. 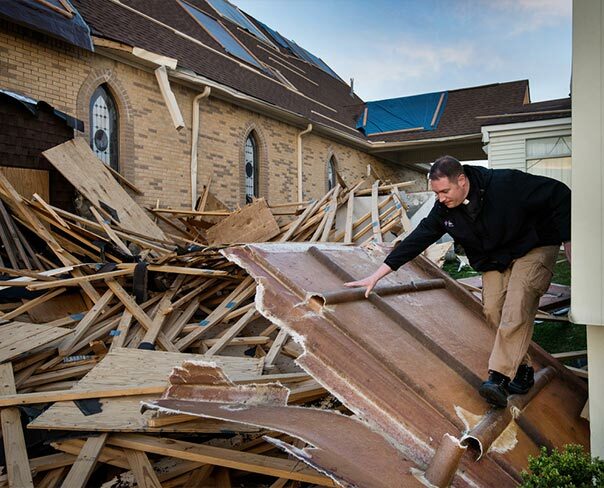 In Tupelo, Miss., an EF3 tornado tore off part of the parish hall roof and toppled the sanctuary’s steeple at Holy Trinity Lutheran Church. It blew out windows and shot seven projectiles through the sanctuary’s roof. Two other nearby non-LCMS churches also were severely damaged. On Sunday, May 4, about 80 Holy Trinity members worshiped in the church’s parking lot, sharing a few of the surviving hymnals and singing with a small electric keyboard, powered by a generator. They sat in rows of metal chairs. The outdoor altar was adorned with silver communionware holding the Lord’s Supper. In his sermon, the Rev. David Mac Kain related the storm and its havoc to the sufferings of Job. “When something like this happens, you can’t help trying to justify the Lord and ask what His role is in all of this,” he told the congregation. The wrecked church stood as his backdrop. During the tornado, the Duffords and their daughter and son sought shelter in an interior hallway. Inside, the family could hear objects flying, crashing, falling. Outside, the storm had turned afternoon light into night. The ceiling over the hallway where the family took shelter was the only part of the ceiling in the whole house that wasn’t cracked by the tornado. The twister turned the Duffords’ home into a junkyard, dropping large trees across its roof and littering the rooms with broken wood, shingles, insulation and mangled belongings. The following day, the storm system flooded parts of the Gulf Coast, dropping as much as 2 feet of relentless rain in 24 hours. 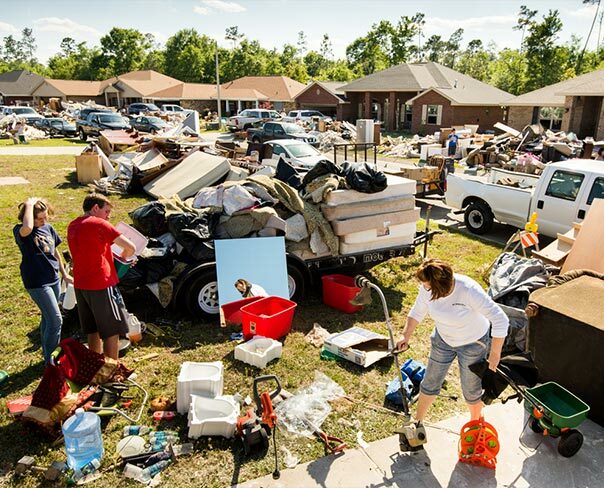 Among the 3,000 homes that flooded was the Pensacola, Fla., home of the Rev. Randy Blankschaen, pastor of Immanuel Lutheran Church in Pensacola. At the time, he and his wife, Lydia, were watching the vicarage-assignment service at Concordia Theological Seminary, Fort Wayne, Ind., online at the church. Most everything was destroyed by floodwaters that stood 4 feet high inside the home. Blankschaen’s brother, who was visiting, had to be evacuated, which caused the family several hours of intense worry when they lost phone contact with him. The home of at least one member family of Immanuel Lutheran Church also flooded. Other Pensacola-area congregations reporting minor flood damage include Redeemer, Good Shepherd, Grace and St. Matthew Lutheran Churches. After the waters receded, the Blankschaens made their way back home. Blankschaen, a pastor at Immanuel since 2010, said it was hard to see almost all of the family’s belongings ruined. The wedding album. The Bibles he used in college. Those were particularly difficult. Blankschaen said he has cried many times since the flooding. But it’s not the loss of physical belongings that has made his emotions so raw. It is the love and support he and his wife have received from an untold number of friends and strangers from all over the country, many of them part of the LCMS family. The night of the flooding, the Blankschaens stayed with a family from Immanuel. The family’s 10-year-old son approached the couple and told them he really wanted to help. He presented a small G.I. Joe metal box. Inside was the boy’s savings. He told the couple he wanted them to have his money so they could get a new house. LCMS Southern District President Rev. Kurtis D. Schultz said the damage assessment in his district is continuing and includes devastation from both tornadoes and floods. He is unsure of exactly how many members have been affected. “Overall, we are thankful that there was not greater damage throughout the district,” Schultz said. “We also are thankful for the response of the church. There have been so many responses offering care and prayer. It’s been a great blessing for them to come alongside us. 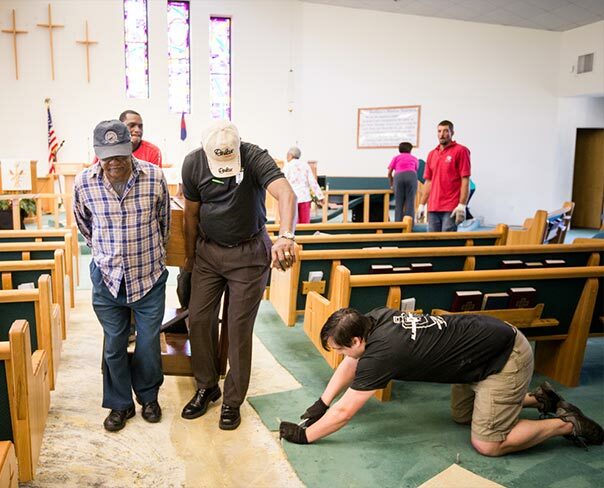 In the LCMS Mid-South District, Peace Lutheran Church in Conway, Ark., is acting as the designated coordination point for volunteers who want to help with cleanup efforts. To volunteer, contact the Rev. 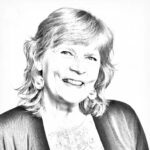 John Gierke at 501-329-3854 or jpgierke@peaceconway.org. Shepherd of Peace, Peace and Christ Lutheran churches in Little Rock, Ark., also are acting as drop-off sites for select items. 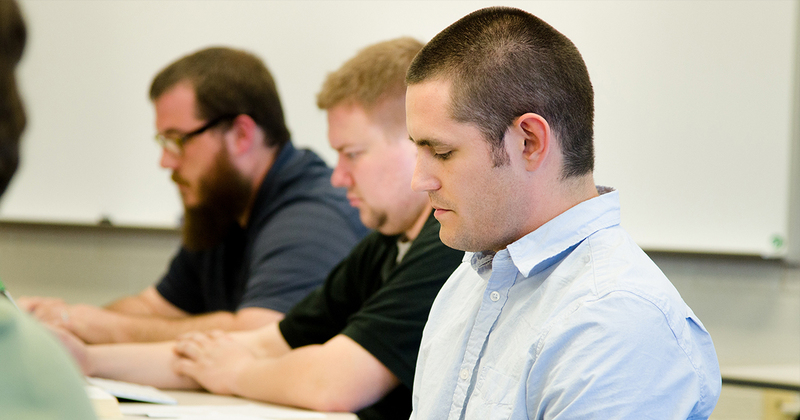 Learn more by visiting the LCMS Mid-South District website at https://www.mid-southlcms.org. Gierke said he has already been contacted by Lamb of God Lutheran Church in Flower Mound, Texas. The church plans to bring smokers to the storm-damaged communities and provide food for the relief workers. To see a photo album from the damage in Mississippi and Florida, click here. To learn more about or support the efforts of LCMS Disaster Response, click here. To make a secure gift online to help bolster relief grants, visit https://www.lcms.org/givenow/disaster. To make a credit-card gift in support of LCMS Disaster Response, call the toll-free LCMS Donor Care Line between 8 a.m. and 4:10 p.m. CDT at 888-930-4438. 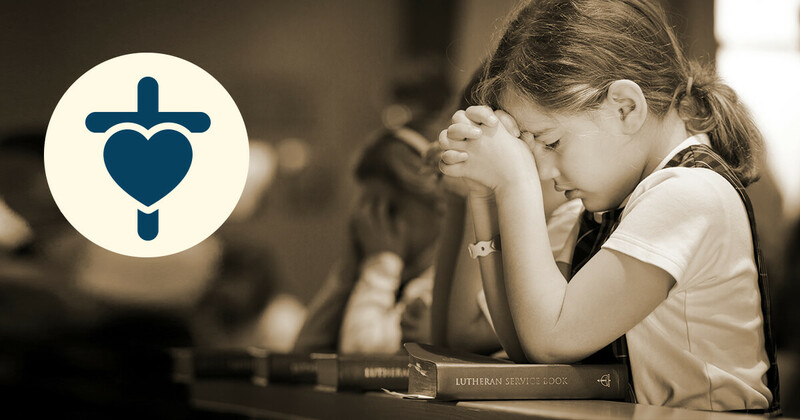 To make a restricted donation by check, make your check payable to The Lutheran Church—Missouri Synod and write “LCMS Disaster Response” on the memo line. Mail to: The Lutheran Church—Missouri Synod, P.O. Box 66861, St. Louis, MO 63166-9810. Melanie Ave is a staff writer with LCMS Communications.